I hope that you are having a wonderful New Year and also a Happy Chinese New Year to you all! 2008 is shaping up to be a very interesting year for the market and there are a-lot of changes! I thank you all for your business and referrals over the years and please let me know if you have any real estate questions or know of anyone that requires Real Estate services. I am always available to offer my services, experiences and knowledge to assist anyone anytime! I closed out 2007 with top sales in my office at Pinnacle Bay Properties. I wanted to take a moment to thank you for your trust in me as well as your referrals. Thank you for making this possible and I am looking forward to many years to come as your Realtor. The issues in the Real Estate market not only hit homeowners hard, it also took a toll on many Real Estate offices. Having been with Pinnacle Properties for 3 years and 1 year with Century 21, I decided that it was time to take my Real Estate career to the next level of customer service. I am proud to join Keller Williams in Cupertino. This change does NOT affect you in anyway. The only difference is that I have more tools and office support than ever before. 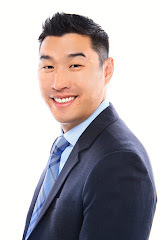 You will always have the same quality of service from Alan Wang, Your Realtor! With a new office comes a brand new web site design. Please feel free to provide feedback so that I can improve the look and feel of the site. Come to http://www.alanwangrealty.com/ for a preview! With the slow down in Friendster usage, I have decided to move my blogger from http://alanlwang.blogs.friendster.com/my_blog/ to http://alanwangrealty.blogspot.com/. I will be updating http://www.alanwangrealty.com/ with the major updates. You will be able to link easily to my blogger from my main website. The first question that comes up is how does this sub prime issue affect us? As my clients I would never have allowed you to take on a loan that you could not afford or those that contained a pre-payment penalty. The sub prime issue was caused by folks who had no business affording the homes that they bought into in the first place. They took on adjustable mortgages with zero down expecting Real Estate prices to go up forever. When prices turned the other way, they were stuck with variable loans that they could not refinance and major high mortgages that they could not afford. This affects us in two ways; one positive and one negative. On the negative side it puts the market in a panic and no one is buying or selling homes. This causes a freeze on real estate prices even in the good areas. The areas where there are high concentrations of sub prime lenders end up having high inventory that eventually fall into foreclosure and lowered prices. This then has a cascading affect on banks that write off these loans that trickles into the economy. Surprisingly, many areas in the Bay Area have held both in prices and low inventory. Please ping me for an inventory analysis of your home area. Many indications are showing that the US economy is heading into a recession. This is why the Federal Reserve dropped rates by 0.75% last week and another 0.5% to 3% today. It will take time for these to trickle into the mortgage market. You will first see short term mortgages lower, then about 90 days for long term mortgages to follow. 2008 will be the year of great rates back to 2001 and 2002 levels. Those of you that missed the low rates during the dot com bust, you have another chance to grab a good rate. Also the economic stimulus package is planned to increase the conforming loan limit from $417,000 to $729,750 for high cost areas for 1 year. The target for this to pass is mid February. Buyers this is an opportunity to buy that dream home of yours! Rates are extremely low, good inventory and not much competition for homes. Do NOT be nervous about the situation because the Bay Area has one thing many places don’t have, jobs! People have held out in 2007 and did not buy, when the rates are low enough, people will wise up and begin to jump in. This may take some time but let’s be ahead of the curve! Refinancers, for those of you who have been sitting on 5 year ARMS or higher 30 year fixed loans, it is time to consider whether to continue on another 5 year ARM or to refinance to a lower 30 year fixed. The difference is quite small these days. Here are the most recent numbers from Mya, my trusted Loan Consultant who is now with Coldwell Banker. I anticipate the rates to continue to lower with the news today and I will keep sending rates out as often as I get them. If you have any questions regarding to financing, please call Mya at (408)472-7558 or e-mail her at mya_tran@yahoo.com for a personalized loan consultation. Let her know Alan sent you and she will give you extra customer service! Seller’s if at all possible hold on for now until this crisis passes. For those of you who maybe in one of those pockets of high demand low inventory neighbourhoods. Contact me for an analysis! This property will be re-listed for $371,888 with $30,000 of remodel work! The property has been completely remodeled please forward this to any of your friends and family who may be interested. Here are the specifics on the property: http://alanwangrealty.com/PropertyDetails?pid=747042&ls=REIL&user=client- List Price: $385,000, 2 Bedrooms, 1 Bathrooms, 840 Sq Ft, 1742 Sq Ft Lot- Fully Remodeled With Over $30k of Upgrades Move in Condition!- Pergo Hardwood Floors Throughout, Newer Cabinetry, Granite Countertops, Appliances, Recessed Lighting, Two Toned Paint and Partially Tiled Floors- 2 Bedrooms, 1 Bathroom Condominium in Campbell, 840 Sq Ft With a 1,742 Sq Ft Lot- Private End Unit on the Second Floor With Oversized Balcony for Entertaining Guests- Parking Steps Away From the Front Door and Plenty of Street Parking- Low Association Dues at $240 p/month. Amenities Include Hot Water, Garbage, Exterior Paint and Common Area Maintenance- Quick Access to San Tomas Expressway, Highway 17, 85 and 880Please let me know if you or someone you know is interested in this property! Again, I would like to THANK YOU for your trust and business. I wish you and your family a Happy New Year in 2008 with much success in all aspects of your life!